Robert was born in 1849; he is the eldest of Samuel Taylor and Ann Bowker's six children. He was born in Tottington, South Bury. In 1851 there were just over 10,000 people living in Tottington Lower End. Within this area there were extensive calico printing works and a National School which instructed children of the operatives. Ramsbottom was a large village within Tottingtonton Lower End. It is 4 miles north of Bury and 14 miles north of Manchester. Bury played an important role in the industrial revolution especially regarding the cotton industry as several inventions developed here, including John Kay's flying shuttle. As well as cotton and woollen manufacturers there were several large iron and brass foundaries, engineering establishments, bleaching and dying works. Within the neighbourhood there were coal mines, several streams and the Manchester, Bolton and Bury canal, all of which helped to make Bury a flourishing area at this time. Sir Robert Peel, 1st baronet, was born in Bury. His father was one of the richest textile manufacturers of the early industrial revolution. 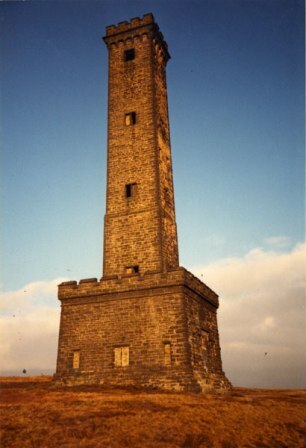 The Peel Tower was erected over Ramsbottom and Holcombe village in commemoration of Sir Robert Peel. This image was provided by Bury Image Bank. Early on in my research I had different parents for Robert but when I received the marriage certificate for Robert Taylor and Margaret Leeman it shows that Robert's father was called Samuel. This links in with the 1881 census which shows that Robert and Margaret had a son called Samuel. Back to the 1851 census: Robert is aged two and is living with his parents, Samuel and Ann and his sister Elizabeth, who is one. Robert's father, Samuel, is a cotton bleacher and is 24 years old, the same age as his wife, Ann. Ann was born in Clitheroe whilst Samuel and the children were all born in Tottington. They are living in Mount Sion in Bury. By 1861 the family have moved to Moss Side, Tottington Lower End, Bury. Robert is now 12 years old and is working as a blue dyer woollen - blue dye was used for whitening fabrics. His father, Samuel, is now a stoker at a print works. Robert's parents are now 35 years old; his sister, Elizabeth is 11 and he now has two more siblings: Nancy who is 5 and Daniel who is 3. Alice Bowker, one of Ann's relations, is living with the family; she is 16 and a cotton powerloom weaver. Back to the marriage certificate: the only one I can find for the right period in the right place is one for Robert Taylor and Margaret Leeman. I am fairly confident that this is the right one, because Margaret couldn't write her name and during the research I have discovered several times that her family have been mistakenly put down in the census as Leeman/Leman. Indeed, this was confirmed by the 1881 census when their daughter, Betsy Taylor, was living with her grandmother, Nancy Leman and her two aunts. 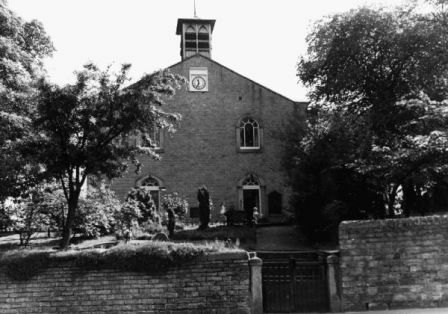 Robert married Margaret Leeman (Leeming) on 14th August 1869 at St Paul's church, Bury. 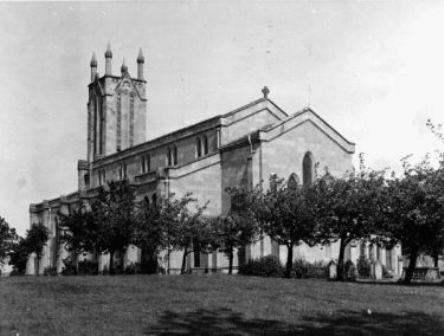 This image of St Paul's was provided by Bury Image Bank. Both Robert and his father are down on the census as 'engine drivers.' We think of engine drivers as train drivers but this is highly unlikely that Robert and Samuel drive train engines. It is more likely that Robert and his father Samuel worked with a steam engine driving factory machinery. This links in more with Robert being a stoker in later census's. Margaret's father, Richard, is an iron turner (used a lathe to turn items from iron) which fits in with other census records that say he is a mechanic (machine operator, less skilled than an engineer). On 9th January 1870 their daughter, Betsy is born. 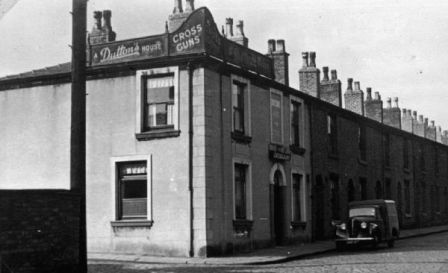 Her birth certificate says she was born at Woolfold, Tottington Lower End, Bury; her father was a stoker at a dye factory, she was baptsided on 6th March at St Anne's Tottington. St Anne's, Tottington, provided by Bury Image Bank. In the 1871 census Robert is a labourer at an iron factory, Margaret, is a cotton weaver. Both were aged 21 years; Robert was born in Tottington, Bury whilst Margaret was born in Blackburn. Betsy was aged 1 year old. On 10th May 1872 their son, Samuel, was born at Gigg in Bury and baptised on 7th July 1872 at St Thomas'; Robert was a firebeater (firebeaters tended factory boilers) at this time. Nancy Leeming was born 16th October 1874 at 31 Queen Street and baptised on 28th December 1874 at St Thomas'; her father Robert is down as an engine stoker. She died in January 1875 and was buried at St Paul's on 7th January. Alice Ann was born at 31 Queen Street in March 1876 and was baptised on 22nd March 1876 at St Pauls, at this time Robert is down as being an engineer. Robert was born on 8th May 1878 in Bury and was baptised on 20th June 1878 at St Mary's; his father, Robert, is down as a stoker. Richard Richardson was born in September 1880. In 1881, Robert, his wife Margaret and their two sons, Samuel and Robert were in Bury Workhouse. Betsy was living with her grandma Nancy Leeming (spelt Leman on the census). I went to Bury Archives (20th February 2013) and discovered that on March 16th, Robert and his children Samuel, Alice Ann (who I didn't know existed until now) and Robert junior were all admitted with small pox. They are likely to have been admitted to the new infectious diseases hospital, which is within the Workhouse. A few days earlier, on 9th March, their sister, Betsy had also been admitted with small pox but she clearly got well enough to be with her grandma by the time of the census (3/4 April). Sadly, I also learnt that their son Richard Richardson Taylor died on 17th March and was buried in the Work House graveyard. He was six months old. Here is a map of the new hospital which also shows the graveyard, it is from Bury Workhouse. The website explains that the new infectious hospital was built in 1876. There are a couple of photographs of the hospital and the following description, "The 32-bed infectious hospital was built at the west of the site. It comprised four ward-blocks connected by a wide, open covered way, and was designed in conjunction with the Local Government Board. A contemporary report described the new wards as 'excellent in themselves and greatly in advance of anything hitherto attempted'." As if this wasn't enough tragedy, Robert's wife, Margaret, dies of bronchitis in 1887; he remarries Elizabeth Haynes in 1890. There are two marriages on the Lancashire BDMs for a Robert Taylor and Elizabeth Haynes but we know that the one for 1890 is the correct one as later census' tell us that Elizabeth came from Cambridgeshire. In 1891 Robert and Elizabeth are living at 11 Myrtle Street, Bury, which is where Betsy is living when she marries Christopher Foster in 1893. Robert is 40 and a firebeater. His wife Elizabeth is a dressmaker and there are two children, Robert who is 12 and Arthur HH who is 9 years old; both were born in Bury so it is clear that Elizabeth, like Robert, had previously been married. They are still at 11 Myrtle Street in 1901: Robert is a stoker in a cotton factory, he is down as aged 52 whilst Elizabeth is 46 and is still a dressmaker. Robert Taylor junior is 22 and a weft cotton carrier whilst Arthur H. Haynes is a filler in a paper mill. In 1911 they are still at the same address. Robert is now a boiler fireman in a cotton mill. This census tells us his second wife, Elizabeth, was born in Bourn, Cambridgeshire. They have been married 20 years and had no children from this marriage. They have a boarder living with them, James Holt who works at the paper mill. So far I haven't been able to find out when Robert died. Betsy Leeming Taylor, my great grandmother, went on to marry Christopher Foster, my great grand father. Samuel Taylor: in the 1891 census there is a Samuel Taylor, aged 19, who is a boarder at 1 Stubbs Yard, Bury, in the same district as Alice Ann. He is a labourer in a locomotive works. Alice Ann Taylor: The 1891 census tells us there is an Alice Ann Taylor who is a general domestic servant living with the Holt family at 73 King Street Bury; this may well be our Alice Ann as I cannot find her elsewhere in the census. In 1893 Alice Ann is a witness at her sister, Betsy's marriage to Christopher Foster. It is interesting that a James Holt was lodging with Robert and Elizabeth in 1911. I cannot find any further references to Alice Ann Taylor, either getting married or dying. Robert Taylor: I have not been able to trace Robert beyond 1901 when he was living with his father and his father's new wife, Elizabeth, in Myrtle Street.